pretix can generate tickets as PDF files that can be downloaded by your participants and printed at home. Our unique ticket layout editor allows you to completely customize the design of these files without any required technical knowledge. 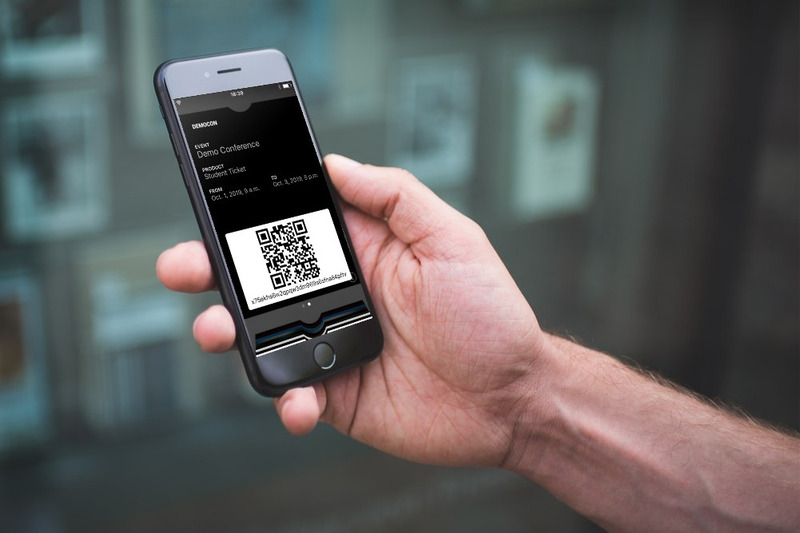 You can just upload a PDF that shall be used as a background and then configure the positions, sizes and styles of the various texts as well as the QR code used for scanning and validating the ticket. Online tickets can not only be provided in PDF format, but are also available as Passbook files compatible with Apple Wallet or various Android apps. Of course, you can also customize the colors and styles of your passes by uploading various image files. You can not only provide your tickets for download, you can also print them on paper yourself and send them to your ticket buyers. This might be interesting if you want to ship the tickets together with e.g. a public transport ticket or if you just want to provide them on nice paper that looks good as a gift. You can also let your users choose between print-at-home tickets and shipped tickets or charge additional fees for shipping tickets to your users – it's up to you! pretix assists you with tools to keep an overview of which tickets have already been printed and shipped and which are yet to be sent out. If you are interested in professional ticket printers and high-quality ticket paper, please get in touch with us, we'd be happy to help.